Airside Andy is a massively multiplayer online community, dashing behind the scenes of a busy airport. A virtual world revealing the airside secrets and customisable characters who work together to keep passengers moving and planes flying. The game is designed exclusively for tablet and mobile, for adults & children. Explore the airport, meet & chat with friends, play games & have fun. Children can explore the busy world of the airport through role play with fun characters and an environment filled with safe, creative and open-ended play. Andy, the Controller of Intercity Airport, is helped by his faithful friend Tilly and a team of busy little vehicles including Trunk, & Stella. Together they make every day at the airport run smoothly. Help the wacky looking airport vehicles load & unload the planes to earn virtual coins. 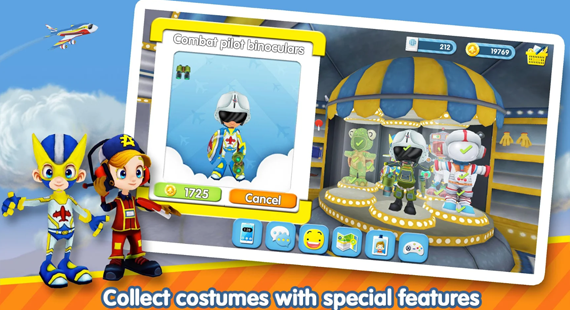 Use your coins to get uniforms & clothes to play other roles & characters with special features in the airport shop. 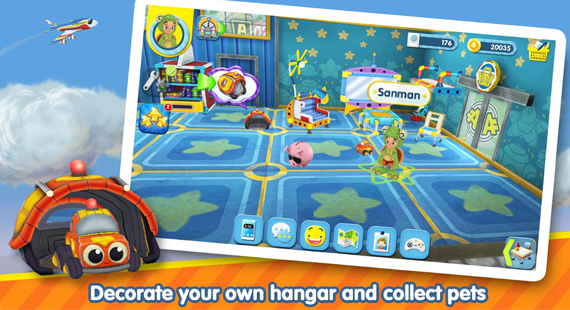 Now you can have even more fun with your own personal hangar space to customise, decorate and call your own, new airport pets, plus explore the hair salon and the paper airplane game. Coming soon for everyone will be more planes, pet racing car games and even more customisation features including new avatar costumes, as decided by our players. The more you explore and do in the airport, the busier the airport and the more coins you get and the more the airport gets. Work together, chat together and you and your friends all contribute to the airport development pod, just by roleplaying the games. Once the airport has enough coins Members will get to vote on what we develop next. 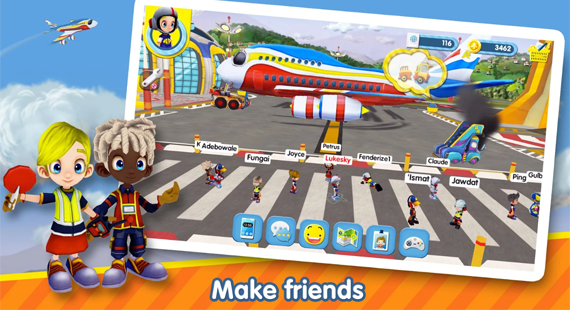 The Airside Andy App is fun for children and adults alike and is free to play online. The App includes in-app purchasing and there are also optional Airside Andy recurring membership subscriptions that cost real money. If you choose to purchase a membership and/or in-app purchase, it will be charged to your Google PlayStore account.